"With Quanta Computer recently securing orders for a new model of the Apple iBook, Asustek has lost its status as the sole contract maker for the popular consumer notebook series, sources close to the deal revealed yesterday. "Quanta, already the biggest contract maker for Apple's PowerBooks, will start to ship 14.1-inch widescreen iBooks as early as the fourth quarter of 2005, the sources said. "Asustek has also received orders for a new model, the 15.4-inch iBook, which will be launched in 2006, plus follow-up orders for the 12.1-inch iBook and 12.1-inch PowerBook, the sources said." "Recent rumours that Apple is preparing to update its consumer hardware product lines were given added weight today when sources close to Taiwanese contract manufacturer Quanta claimed it has won a deal to make a new, widescreen iBook. "The deal ends Apple's exclusive arrangement with its current notebook supplier, Asustek. Not that it need feel badly off. It has received fresh orders for 12.1in iBooks and PowerBooks, and - most interestingly - a 15.4in widescreen iBook, due to ship in 2006, the sources claim...."
"UK consumer magazine Which? has published a report on the best laptops in three categories. Apple topped two of the three categories, providing the best desktop replacement and entry level machines. The PowerBook 15" was the best 'desktop replacement,' and it 'tore through our tasks, burning a CD of MP3 files in just over four minutes.' The 14" iBook was the highest ranked 'entry level' laptop...."
PR: Interested in taking apart your 'Book? PowerBook Tech has posted some illustrated guides that explain and show what you need to know for WallStreet, Lombard, Pismo, iBook (All White), Titanium. Mobile magazine, formerly known as Mobile PC magazine, awarded Streamload with its Mobile Choice Award in the April 2005 issue. Streamload earned a 4.5-star rating (out of a possible 5). Regarding Streamload, Mobile magazine reports, "Just another dull online storage service? Not Streamload, which is better described as an online media center, a place to house, share, and - true to its name - stream your music, movies, photos, and the like. Of course, it's also a fine place for presentations, work files, and backups, but that stuff is, like, so boring. Whatever you use it for, Streamload is awesome." Streamload's service allows users to transfer and stockpile their personal entertainment files, i.e. TiVo, digital video recordings, MP3 and photo collections, into a centralized library, move Gigabyte-size media files ("Megafiles") seamlessly between people and their digital devices, and access files everywhere there is an Internet connection. Mobile magazine added, "Streamload is a snap to sign up for an account (four fields and you're done), and the file-management interface manages to be simultaneously hip and elegant. For the most part Streamload is easy to navigate. There's a utility you can install for drag-and-drop uploading and downloading, but the browser-based interface couldn't be simpler." Streamload is also expanding support for mobile devices including the new PSP (PlayStation® Portable). PSP owners will soon be able to store and manage their TiVoToGo files and their entire personal digital video collections on Streamload. Streamload's goal is to make everyone's digital files accessible from all their devices, at anytime. Streamload CEO Steve Iverson said, "It's great to be recognized by Mobile Magazine and receive their Mobile Choice Award. Users today don't want to just have their files in one place; they want them everywhere. Streamload lets them access as much as they want, from wherever they are without worrying about limits." Iverson added that Streamload will offer broad support for mobile devices such as the PSP later this year. Streamload is further supporting mobile users with its recently announced xStreamMail email system, specifically designed for sending and sharing large files up to 2 GB in size and up to 25,000 separate files per email message. This new service follows Streamload's recent offering of free 10 GB storage accounts - ten times more than other online services. "Well I've had the pleasure of using my 1.33 GHz, 14" iBook for two days now and I wanted to share some initial impressions; I know this isn't mini or even home theater related for that matter, but it is an Apple and hey that's enough. My particular configuration included a 1.33 GHz processor, 14" screen, combo drive and an additional 256 MB of memory from Crucial.com, I just couldn't bring myself to pay Apple's prices for extra memory. "Getting down to the nitty gritty, I was also pleasantly surprised with how fast it was. Now don't get me wrong, this thing won't break any land speed records, but apps popped open much much faster than I had already prepared myself for." "Both, PowerBook and OS X made quite an impression here. It _is_ simple. It is fun to use. The general performance is not as snappy and responsive as Debian/KDE 3.4 on my P4 2.4 GHz XPC but it's not exactly slow and I guess with all that eye-candy I have to compromise (not that KDE would look any worse here). I guess there will be a lot more entries covering my new Mac." A properly maintained PowerBook or iBook battery is designed to retain up to 80% of its original capacity after 300 full charge and discharge cycles. PR: A Multi Drive is a SuperDrive with the additional feature of being able to read and write to DVD-RAM discs. The MCE DVD-R/RW/RAM Drive for the iBook G4 utilizes 4.7 GB single-sided and 9.4 GB double-sided rewritable industry standard discs and can record to DVD-RAM/DVD-R/DVD-RW/DVD+R/DVD+RW/CD-R/CD-RW media and provide superior performance and reliability. Fully compliant with the DVD Forum's standards, the single-sided media is capable of storing a full two-hours of MPEG-2 video. MCE's DVD Multi Drive for the iBook G4 offers unprecedented media interchangeability and seven times the capacity of CD-R and CD-RW. The MCE DVD Multi drive reads industry-standard DVD-ROM, DVD-Video, DVD-R, CD-ROM, CD-R/RW, CD-DA, Photo CD, and Video CD media. The random-access, drag-and-drop DVD-RAM storage media provides in excess of 100,000 write/rewrite cycles and data life in excess of 30 years. The DVD-RAM recording function of the MCE Multi drive is supported natively by Mac OS X at the desktop level without the need for additional drivers, and is also fully compatible with Dantz Retrospect backup software. The MCE Multi drive upgrade for iBook G4 must be professionally installed into your iBook by MCE, or at one of MCE's worldwide authorized upgrade centers. Once installed you'll be able to easily record up to 4.7 GB of data, video or audio onto recordable DVD discs right from your iBook. PR: MCE has released a 100 GB version of its MobileStor 9.5 mm, 2.5" laptop hard drive series. The drive is a 4200 RPM unit with 8 MB of buffer cache. Each MobileStor Ultra ATA/IDE hard drive model has been tested and certified by MCE to be 100% compatible with the Apple PowerBook and all Mac OS versions up to and including Mac OS X. MCE MobileStor drives do not require any third-party hard disk drivers, as they perform best when used with Apple's standard Drive Setup utility software (pre-Mac OS X) as well as with Apple's Disk Utility program under Mac OS X. MCE claims to be the only Apple Certified Developer that tests its drives with every PowerBook and Mac OS to maintain and guarantee this high level of compatibility. The MobileStor MS40GX, MS60G72K and MS80GX with 8 MB cache and MS60GX with 16 MB cache and at least 5400 RPM spindle speed, are drives especially well-suited for the Apple PowerBook G4 (Aluminum and Titanium), the PowerBook G3 (FireWire), and the PowerBook G3 Series - 1999 (Bronze/Lombard), all of which have high-speed internal hard disk controllers. Other systems will see some performance increase, but not as significantly as these systems. MCE says that the hard drive in the iBook is not end-user, or even dealer/service center, upgradeable. Just accessing the hard drive bay is a job involving the removal of over two-dozen screws, hex-nuts, plastic parts, and very small, sensitive, electronic components. If the proper level of antistatic protection is not maintained and the take-apart procedure not properly documented then a successful upgrade is nearly impossible. This being the case, installation instructions are not included for the iBook in the MCE PowerBook Hard Drive Installation Kit. MCE now offers an iBook hard drive upgrade program. Installation manual with step by step instructions and photos (makes installation a breeze). The 100 GTB MobileStor sells for $279. PR: Just slide the Xcaret Pro Expansion Bay Hard Drive into your expansion bay and it's ready for use. Multimedia tuned to deliver clean, uninterrupted audio and video for your project. 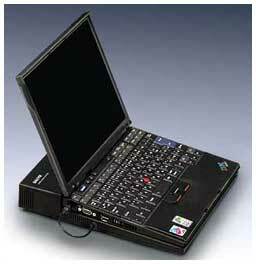 Note: This unit is for use with the PowerBook G3 Series 1998 (WallStreet) which has a black keyboard. This is not for use with the PowerBook G3 1999 (Lombard/Bronze) or PowerBook G3 2000 (FireWire/Pismo), which both have a semi-translucent brown keyboard. PR: Just slide it into your expansion bay, and it's ready for use! Multimedia tuned to deliver clean, uninterrupted audio and video for your project. Note: This unit is for use with the PowerBook G3 2000 (FireWire/Pismo) and PowerBook G3 1999 (Lombard/Bronze), which both have a semi-translucent brown keyboard. This is not for use with the PowerBook G3 Series 1998 (WallStreet), which has a black keyboard. Wrist Rag - protects an often abused area of the PowerBook from scratches and nicks while providing a comfortable surface to rest your wrists or palms. Track pad Film - Simply peel off the backing and line up the film to your track pad. The film can be easily removed and will not leave a sticky residue. Tilt Tray - Tilt Tray elevates the PowerBook, lifting it slightly off any surface you are working on. It is especially useful when traveling as it weighs under 8 ounces for the larger 15" model. "Sanyo and IBM today said they will jointly research and develop a fuel-cell power system for notebook PCs. "The two companies said they will develop a hybrid system. Essentially, the direct methanol fuel cell will work alongside a slimline lithium-polymer rechargeable battery." The Mobile PC Extended Battery Life Working Group has announced that approximately 20% of display panels shipped in the first quarter of 2005 consume 3 watts of power or less. This is a significant milestone for the EBL-WG's low power display panel initiative, which strives to reduce the power consumption of laptop displays in order to extend battery life - one of the most important purchasing criteria for laptop buyers today. A mobile PC display subsystem constitutes a significant portion of the overall, average power consumed by a mobile PC. Among the various components and subsystems within a mobile PC, the display subsystem absorbs the most power by far. To help address this issue, the EBL-WG developed recommendations for power consumption for XGA displays as well as display subsystem power measurement guidelines for uniform and consistent measurement across the industry, and has worked with display suppliers to enroll their support. "As new lower power display technologies emerge, the display subsystem must also consume less power to continue driving down overall mobile platform power consumption," said Kamal Shah, Mobility Enabling Initiative manager, Mobile Platforms Group, Intel Corporation, and chairman of the EBL-WG. "Consumers are increasingly demanding longer and longer battery life from their notebook PCs. If we are to achieve the ideal of all-day battery life, reducing power consumption of notebook PC displays is critical." "As we embark upon the era of spontaneous mobile computing, being truly wireless requires seamless wireless access and extended battery life," said Shah. "The availability of low power displays is a good example of what is possible when mobile PC industry companies collaborate with platform ingredient suppliers such as the display makers. I look forward to further broader availability of low power displays as this collaboration continues." "We are pleased to work in collaboration with the EBL-WG in support of the vision for all-day battery life for notebook PCs by developing products which meet our customers requirements and are under 3W of power consumption. We have the best technology for a lower power consumption. It's 'Low Temperature Poly Silicon(LTPS) TFT,'" said Toshio Yanagisawa, Managing Officer & Chief Customer Solution Officer,Toshiba Matsushita Display Technology Co., Ltd.(TMD). Bruce Berkoff, Executive Vice President of Marketing for LG.Philips LCD, one of the world's leading manufacturers of TFT-LCD panels, commented that "We at LG.Philips LCD are pleased to see the progress the EBL-WG has made in supporting the growing needs of mobile computing. LG.Philips LCD remains committed to providing more display choices, including larger, wider, and more power efficient LCD modules." As part of its ongoing efforts to drive the industry to adopt its methodology for measuring battery life, the EBL-WG is encouraging all display panel manufacturers to include power consumption measured according to the group's guidelines in their product data sheets. This initiative will allow mobile PC manufacturers to assess the list of panel features comprehensively and simplify the panel qualification process by compiling all relevant data in one place. The EBL-WG is pleased to note that two suppliers, Toshiba Matsushita Display Technology Co., Ltd. and Chi Mei Optoelectronics, have already committed to including this information in their panel data sheets for future production introduction.